Today I’ve got double the fun for you! 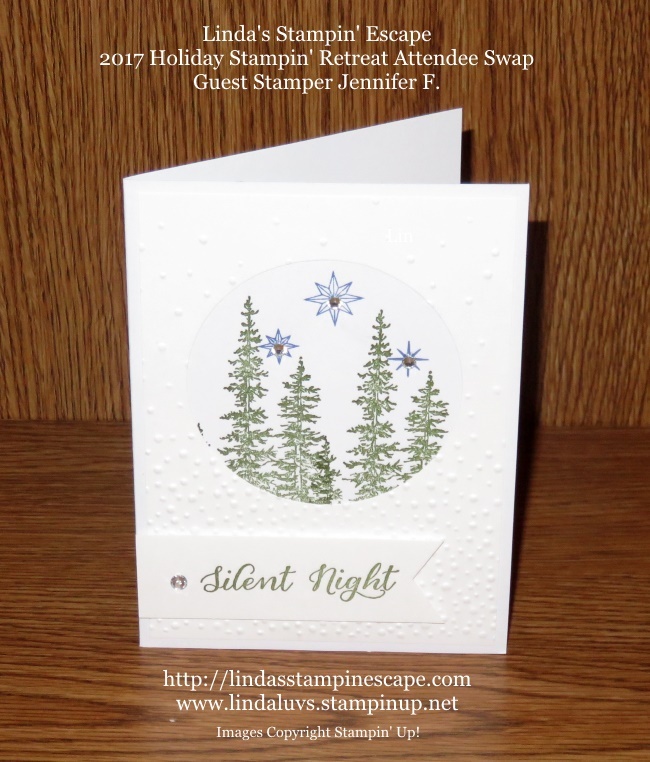 I’m going to share a beautiful card that one of my Holiday Retreat Attendee’s made for the card swap, and I have a super simple way to deck out your Holiday Paper Pumpkin Stocking. Lovely as a Tree just received a lovely update … I love how it is framed with the use of the Circle Framelits Dies and the Softly Falling Textured Embossing Folder. 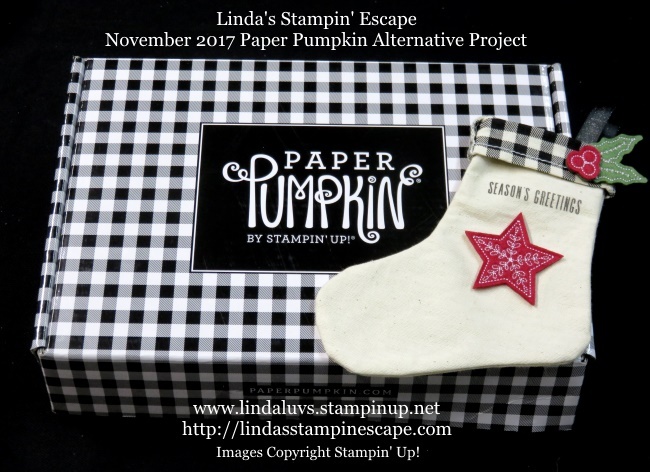 The “two” on this Tuesday is an Alternative Project to the November 2017 Paper Pumpkin kit. These little stockings are so easy to work with and a Gift Card tucks nicely inside … so hang them on the tree or use them on the gift. I teamed up my Paper Pumpkin with the fun and amazing Stitched Felt Embellishments from the Quilted Christmas Product Suite. Just a quick dab on All Purpose Glue and your stockings are ready to hang… and I added some pretty ribbon so you can do that! I see some of you took part in our 24-hour Sale (THANK YOU!!) There are plenty of items on the shopping list, so just click the link below. Don’t forget the Clearance Rack too. Thank you for hanging out with me today. « Projects & Stamp Sale & Tips … Oh My!! It’s all here!